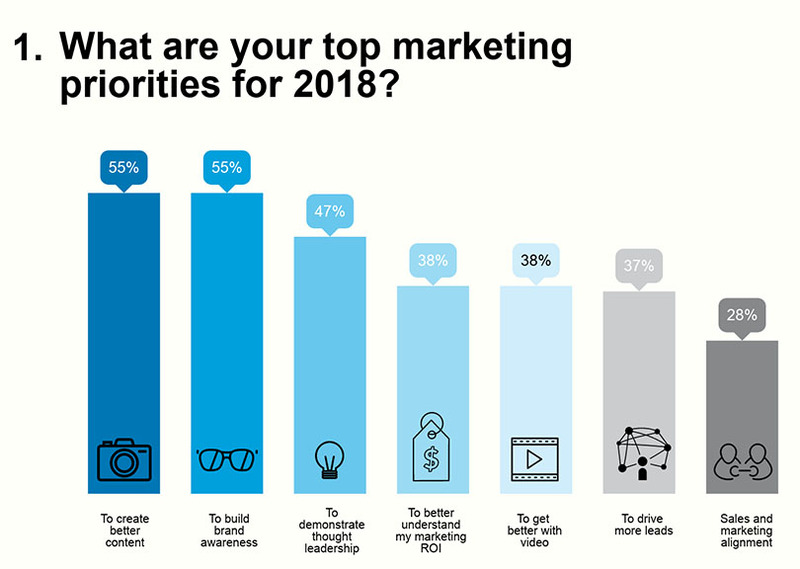 It’s my job to make sure that B2B Marketers in APAC are getting the right information to meet their “dream big” goals for 2018. This is why we asked over 1000 marketing professionals working in Australia, Hong Kong, Indonesia, Japan, Korea, Malaysia, Singapore and Thailand to tell us their 2018 priorities. Forget Blockchain, Artificial Intelligence and Virtual Reality, it’s back to basics for marketers in APAC. We are more concerned with brand awareness and creating great content than adopting the newest martech love child. 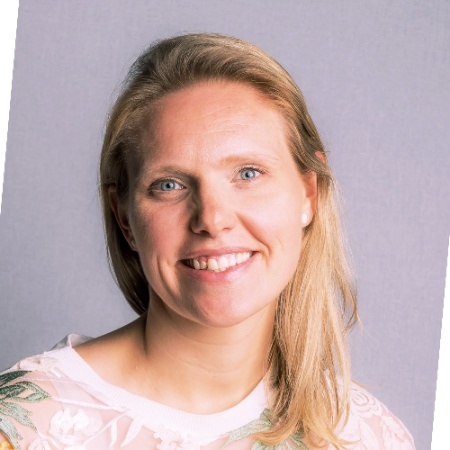 Interestingly, marketing metrics have become more important as being able to measure and track the impact different activities have on the bottom line is key. If this is one of your priorities it’s worth taking a look at the ebook we launched last month on Mastering the Marketing Metrics that matter to your c-suite. It explains how to tell data-driven stories that best highlight your efforts and mostly importantly impress your business leaders. The rise and rise of the LinkedIn Company Page means that marketers are driving more leads with up-to-date content. Later this year we’ll be highlighting some of the best company pages in APAC so you can see examples that are performing really well. In the meantime, check you’ve covered all the basics with the LinkedIn Company Page Playbook. 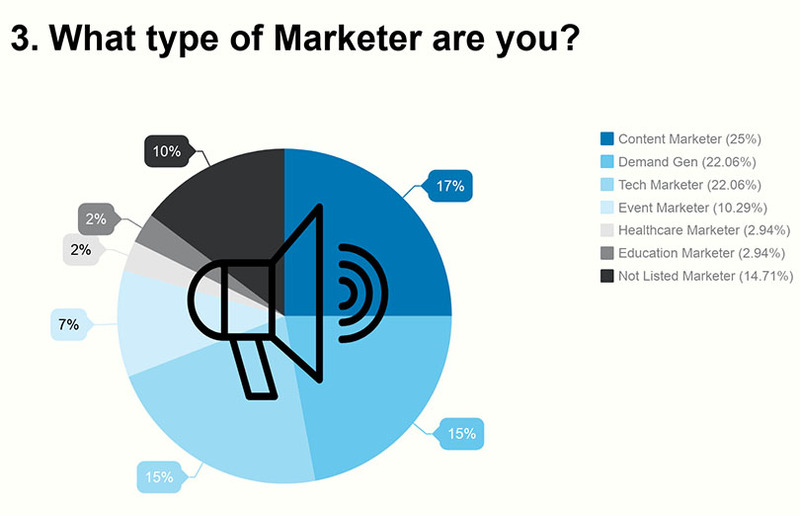 Here in APAC our most active readers focus on lead generation, content and technology. 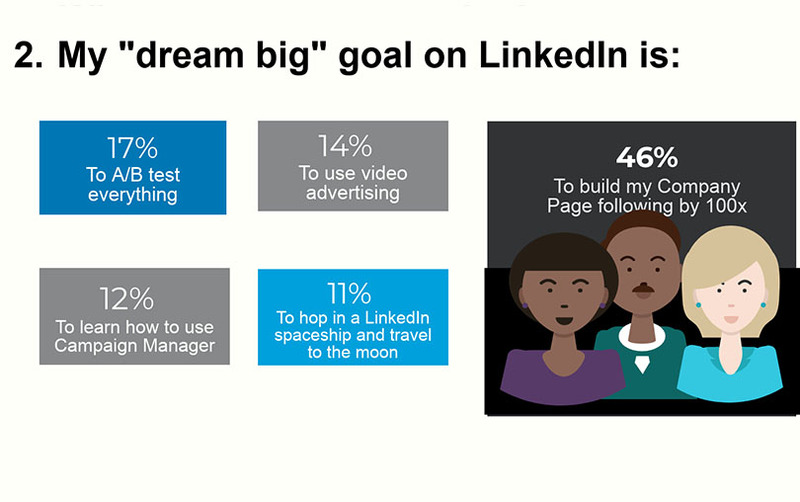 This means there’s a lot of opportunity for those of you working in events or other industries like travel and education to start taking advantage of a relatively untapped target audience on LinkedIn. 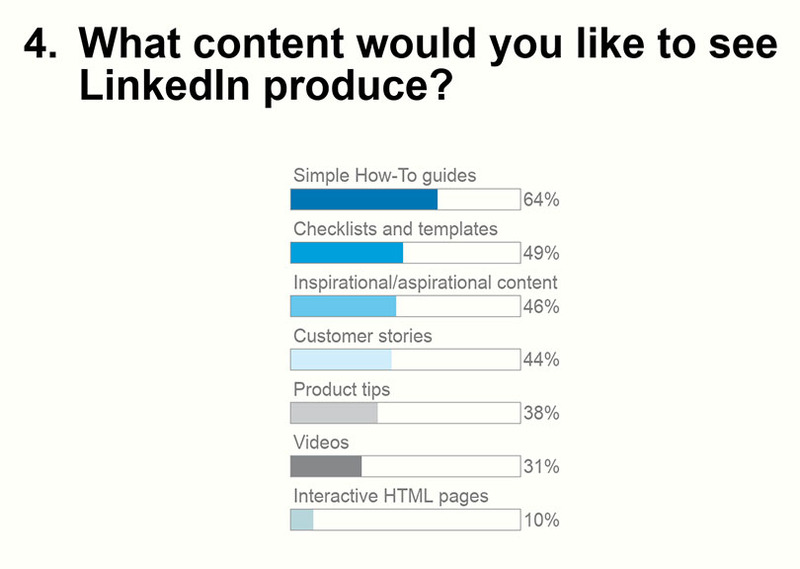 It’s a priority that we create useful information that you want to read which is why we asked what content you’d like LinkedIn to produce. The great news is that we have a whole series of simple How-to guides coming out this year, so watch this blog for release dates. 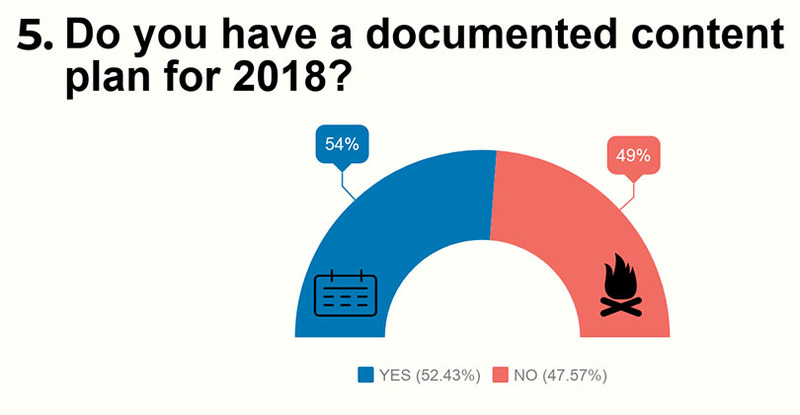 Probably the most shocking data point that came from this research is that only half of APAC Marketers have a documented content plan. This I can help with straight away, go download our Content Marketing Toolkit which includes a calendar, a distribution plan and everything else you need to get your content strategy ready for 2018. 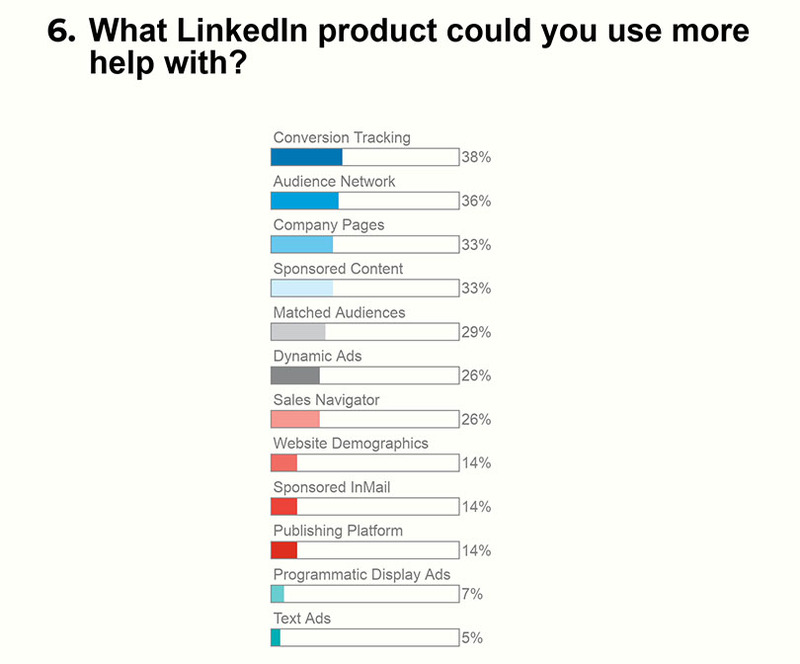 Our survey also highlighted the areas of LinkedIn that our team needs to work harder to explain and help APAC marketers with. I’ll be spending the rest of this week adjusting our editorial calendar to match this feedback. We’ve got lots of How-Tos, tool kits and thought leadership coming your way to help make 2018 a stellar year. So do get in touch if you have any other topics you’d like the APAC LinkedIn team to cover. Stay connected and inspired all year long by subscribing to the LinkedIn Marketing blog.